If you need a new key for your car, give us a call. We are experts in all makes, years, and models and ensure fast and affordable car key replacement Brampton service. Our company works with devoted and highly experienced locksmiths that have the skills to serve you to your expectations. They are all well-trained and knowledgeable and will go above and beyond to offer service quickly. 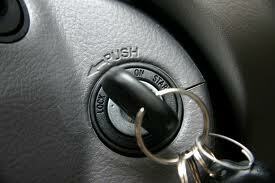 Call the Brampton Locksmith Experts if you want to replace the car key. The car key replacement cost is reasonable and the response of the locksmiths is quick. You can depend on us to help you urgently when there is a need to replace car keys and without breaking the bank. If you need to replace the key of your car, chances are that the original one is either lost or damaged. 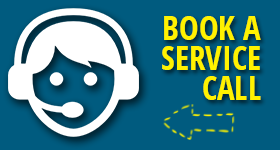 In either case, you need assistance rapidly and service you can trust. Rely on our professionalism and contact us. We send you an experienced and well-equipped auto locksmith to replace the key for you. Since they are qualified and certified to replace keys of any car model and make, trust that they can replace yours too. By all means, feel free to contact our company if you want to make sure the locksmiths can replace the key of your car make. The pro comes out quickly and ready to have the car key made and programmed right away. Do you want to replace the ignition key? Do you need to replace a transponder key? When it comes to high tech car keys, it’s vital to trust experts that have the equipment & skills to cut and set them up. That’s us. Do you need help urgently? Call us and a pro will offer car locksmiths service 24/7. When you lock yourself out of the car due to key problems, a pro will be there not only to open the door but make a new car key too. Every time you are dealing with car key troubles and need prompt assistance, don’t hesitate to get in contact with us. We are the specialists in car key replacement in Brampton and will serve your needs as fast as possible. Do call us today.